This practice is indicative of agents treating each other unethically, and is harmful to our entire profession. Agents who choose to cut others out for the sake of greater commission aren't just cheating their seller. I see this as a short-sighted race to the bottom, and a practice that harms us all as real estate professionals. Lauren Haw Lauren Haw is the CEO and Broker of Record for Zoocasa.com, a leading real estate brokerage in the Canadian marketplace. Businessman has crossed fingers behind his back. Good luck or dishonesty concept. In hidden camera footage recently captured by CBC's Marketplace, a real estate agent, her face blurred, assures prospective buyers a home is practically theirs. "I control both sides," she says. "And before any other offer comes in to make it a multiple offer situation, I'll try to close the deal for you. I'll use my power in order to get you the house." If these promises seem too good to be true, especially in Toronto's blisteringly competitive housing market, that's because they are. The agent in question is blatantly breaching the code of ethics established by the Real Estate and Business Brokers Act (REBBA), which states real estate professionals can't use confidential information to give their clients an advantage, or manipulate a transaction. According to the CBC's report, these agents are "double-ending" their commissions by representing both the buyer and the seller. While this is a fairly normal practice and can be handled ethically, what is in these videos demonstrates a breach of fiduciary duty to their seller clients, and a breach of the code of ethics between realtors. These are blatant examples of the agents working in their sole best interest, to the potential detriment of their client's outcomes. In these situations, it is the home seller who has the most to lose. As the broker of record for Zoocasa Realty, I am disheartened, but not surprised, by this footage. Part of the issue is the Canadian real estate market's meteoric growth over the past decade, and the number of real estate professionals; there were 20,000 TREB realtors a decade ago -- now there are roughly 48,000, and competition is truly fierce. Consider the 101,299 Toronto Real Estate Board MLS home sales in 2015; split evenly among the workforce, that's about 2.1 sales per agent. You know the saying -- desperate times call for desperate measures. In a multiple offer situation, attempting to fairly represent both your buyer and seller fairly is incredibly challenging for the most ethical salespeople. In these situations, it is the home seller who has the most to lose. When you've contractually agreed to represent your seller clients, you must do everything in your power to represent their best interest. In today's market that means attracting and working with as many great offers as possible. In order to effectively represent your seller's interests requires working with every potential buyer -- including those represented by other agents. Controlling the situation in order to ensure both side's commissions risks ostracizing the buyer who was actually willing to pay the most for the property. The frequency of these incidences reflects poorly on our real estate industry as a whole. It is quite easy -- far too easy -- to get, and keep a real estate license. The annual fees to remain licensed are low, making it easy for many agents to work on a part-time basis. They may only handle one listing for the whole year, and by representing both ends of the transaction, they are effectively doubling their annual income. Add to this that they dabble infrequently in the market, making them less concerned about the long-term implications for their reputation. The frequency of these incidences reflects poorly on our real estate industry as a whole. This practice is indicative of agents treating each other unethically, and is harmful to our entire profession. Agents who choose to cut others out for the sake of greater commission aren't just cheating their seller, but essentially training the market to bypass buyer representation. I see this as a short-sighted race to the bottom, and a practice that harms us all as real estate professionals. What I do hope comes from recent media scrutiny is increased consequences for those engaging in the practice. 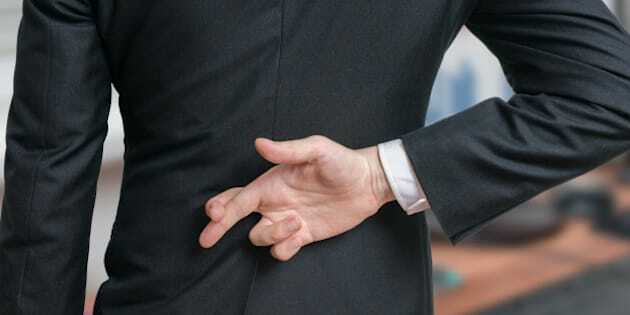 It appears that the Real Estate Council of Ontario is listening; in a recent webinar for brokers, they admonished member agents of the importance of ethics in the business, and outlined the potential consequences. What would be most effective, I believe, is an improved complaint process for those who wish to report unethical behaviour on behalf of a real estate agent. If the powers that be choose to hammer down on the practice, we will all truly be better off.